Your business probably has a website, but is it generating the results you need? 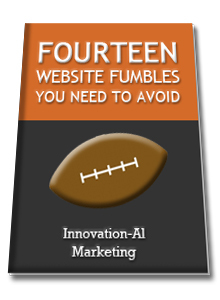 If not, chances are that you're dropping the ball and falling victim to a website fumble. Fill out the form to the left to download the eBook now! © 2013 Alec Biedrzycki. All rights reserved.